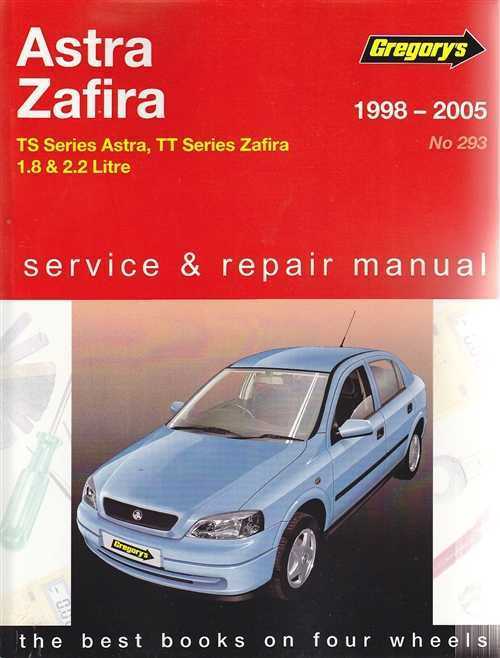 Holden Astra (TS) & Zafira (TT) 1998-2005 Haynes Owners Service & Repair Manual covers models: Holden Astra Hatchback, Sedan and Wagon and Zafira MPV models with Petrol engines, including special / limited editions. ● DOES NOT cover bi-fuel models, 1.6 L "Twinport" or 2.0 L turbo engines, coupe or convertible. ● DOES NOT cover AH series introduced Sept 2004. The Holden Astra try a compact vehicle marketed by Holden in Australian Continent. Spanning six years, the initial, Australia-only Astra of 1984 was a derivative of in your area created Nissan Pulsar, as ended up being the 1987 Astra. It absolutely was succeeded because of the Holden Nova in 1989---another unique-to-Australia design line. From 1995, the Holden Astra title was used in brand new Zealand, for a badge engineered form of the Opel Astra, which was sold locally as an Opel since 1993. These 12 months, Holden stopped the Nova range in Australia in favour of the Opel-based Holden Astra. On 1 might 2014, Holden revealed to import the Opel Astra J GTC and Opel Astra J OPC with Holden badges to Australia and brand new Zealand. In September 1998, the Astra is replaced once again with a German Opel-engineered, Belgium-built version. 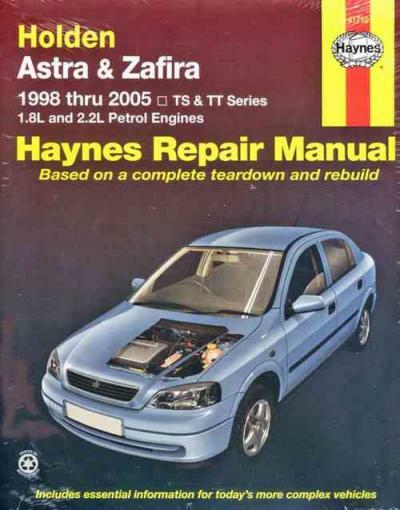 Referred to as TS Astra, it absolutely was equipped with either a 90-kilowatt (120 hp) 1.8- or a 2.2-litre petrol engine and ended up being available in City, CD, CDXi, SXi and SRi specs. The SRi had been three-door hatchback best, plus the standard Astra was just available with a 1.8-litre 16-valve system. Brands with a 5-stud wheel design possess ABS alternative factory-installed. The Astra CD gained 15-inch alloy tires as standard gear in circa 1999, changing the metal wheels with hubcaps earlier standard. The TS Astra model change adopted that of the Opel Astra grams number, such as the sedan, hatchback and convertible. However, the coup by Bertone was not offered with a Holden badge. The drivetrain had been just like more vehicles inside Astra lineup, and thus, wasn't a bona-fide low rider. Such as the Astra F, the Astra G is readily available as a wagon in New Zealand, not Australian Continent. In 2003, a 147-kilowatt (197 hp) 2.0-litre turbo motor became offered. The standard Astra was only readily available with a 1.8-litre 16-valve system, and resided on until 2005 whilst the Holden Astra Timeless, alongside the newest model. The philosophy behind it was for Holden to stay competitive available in the market until the economical Viva design is launched. In respect toward Monash institution's 2008 improve toward Used Car Safety ranks, TS Astra designs had been ranked "better than normal" in neuro-scientific crash safety protection. Town: was the most basic TS design, offered as a three- and five-door with a six-speaker speakers, dual airbags, disc brakes, flexible headlamps, and triple suggestions show. The engine was the 1.8-litre X18XE1 system with 85 kW (114 hp) (1998--2000) together with uprated Z18XE with 92 kW (123 hp) (2001--2004). CD: included City properties, plus 15-inch alloy wheels, a CD athlete, abdominal muscles brakes, grip controls, air-con, electric mirrors, and power house windows. Recommended equipment readily available were: front fog lights, 16-inch alloy rims, cruise control, and a rear spoiler. CDX: introduced in December 2002 for MY03 and added over the CD variation: cruise controls, front fog lamps, climate control air-con, chrome trim around dials, part airbags (curtain airbags had been furthermore an alternative for MY04 designs), hot leather seating and fabric furniture, and a more substantial, higher quality MFD (multi-info display) with radio tips, date, time, outside temperature, travel computers with instantaneous fuel intake and L/100 km, length to empty, essential automobile alerts (check controls) and stopwatch. SXi changed the City three-door for MY03 and marketed between December 2002 and 2004. On the previous City three-door, the SXi included front fog lights and sports trim. Optional functions included, a CD athlete, abdominal muscles brakes, alloy wheels, ac, and a rear spoiler. SRi: introduced in October 2001 and held the same equipment because the SXi, but had been based on the CD variant except fitted because of the 2.2-litre Z22SE engine. SRi Turbo: introduced in-may 2003 within MY03 adjustment, this design is based on the SRi, except installed using 2.0-litre Z20LET turbocharged system and has more traditional products. Convertible: revealed in December 2001 and installed with all the 2.2-litre Z22SE system. Convertible Turbo products found its way to May 2003 aided by the 2.0-litre Z20LET engine. Olympic version: Holden created Olympic Editions of the City and CD grades version established in July 2000, included "Sydney 2000" Olympic badging. Equipe: is in line with the Astra town, but added 15-inch alloy rims and different combinations of extra services like cruise control, energy windows, electric side-view mirrors, fog lamps and rear spoiler. Equipe model were introduced in April 2001, April 2002, April 2003 and September 2003. Linea Rossa: special edition for convertible, revealed in 2004. This engine normally known as a Z22SE far away like the United Kingdom and Australian Continent. The basic Family II design ended up being considerably re-engineered in 2000 to be the Ecotec Gen I. Unlike its notably harsh predecessor, the engine is designed for smoothness. Double in-block stability shafts had been important toward design, the power-steering pump is mounted right to the cylinder mind and driven by the intake camshaft, the water-pump housing was cast to the block, and the A/C compressor and alternator had been installed right on the block without brackets. The oil filter housing was cast to the block with a removable cover and replaceable paper factor. It failed to utilize an EGR device. The Ecotec line was manufactured in Tonawanda, New York and Kaiserslautern, Germany, and has also been made for Saturn in Spring slope, Tennessee until Saturn's discontinuation. In the united states this motor replaced both the Quad-4 additionally the GM 122 motors and earliest starred in the 2000 Saturn L-Series. The L61 try a 2.2 L---2,198 cc (134.1 cu in)---version with a lost-foam cast aluminum cylinder mind and block; they features an 86 millimetres (3.4 in) bore and 94.6 millimetres (3.72 in) swing and both a 9.5:1 compression ratio or a 10.0:1. The motor is 665 millimetres (26.2 in) in total, 642 millimetres (25.3 in)in width, 655 millimetres (25.8 in) tall and about 139 kilograms (306 pound). The Ecotec 2.2, design L61 first starred in the 2000 Saturn LS1; the L61-powered Saturn Ion additionally replaced the Saturn-powered Saturn S-Series. There are some variations towards the standard L61. The 2003 Saturn L-Series possess a high result version with higher (10:1) compression and much more hostile camshaft. The 2004--2008 Chevrolet Malibu makes use of a version with electric throttle controls and a particular unitized fatigue manifold and catalytic converter. The Malibu and Saturn variations also use return-less gas injections. The 2002 Saturn VUE is initial united states variant of the L61 becoming equipped with electronic throttle controls, whereas more applications couldn't happen until 2005 within the Saturn ION and Chevrolet Cobalt. For 2007, introduced an updated type of the L61 in line with the Gen II build. The supercharger and inlet manifold through the 2.0 Ecotec LSJ system are available as an official kit from GM and alongside modified software in the ECM, can cause a 2.2 supercharged form of this system. The X20XEV is the very first Family II engine branded as Ecotec, a mass-market successor towards C20XE with a Lotus-developed cylinder mind. The latest cylinder mind have a smaller sized valve direction compared to the elderly C20XE, that has been expected to offer additional torque inside lower revs. Its a 1,998 cc (121.9 cu in) normally aspirated motor with 16 valves and belt-driven two fold overhead camshafts (DOHC). 86 mm (3.4 in) bore and stroke in cast-iron OHC-derived cylinder block and aluminum cylinder head. The X20XEV is loaded with exhaust petrol recirculation (EGR) to lessen nitrogen dioxide emissions and atmosphere shot reactor (atmosphere) to speed up the warming-up of this catalytic converter and lessen unburnt hydrocarbons and carbon monoxide. The motor can perform creating 100 kW (136 PS; 134 bhp). A higher result version known as the X20XER was also created that offers 167 hp (125 kW) energy and 136 lb*ft (185 N*m) torque. The Z20LET are a turbocharged type of the X20XEV the Opel Astra grams and features a 8.8:1 compression, 200 PS; 197 hp (147 kW) and 195 lb*ft (264 N*m) of torque. From 2005, the Z20LET engine had been revised when it comes to Astra H and Zafira B, to 3 different design designations, Z20LEL, Z20LER and Z20LEH. The differing designations denote the system energy output, 170 hp (127 kW), 200 hp (149 kW) and 240 hp (179 kW). Additional changes into the earliest build add under-piston oil air conditioning, a revised turbocharger product and the deletion of this contra-rotating balancer shafts into the 240 hp (179 kW) Z20LEH system (as found in the Astra VXR), to lessen technical losses. The Z20LEH also features high quality Mahle forged pistons, which are much stronger versus cast pistons fitted to the Z20LET, Z20LEL and Z20LER. In 2008 with Euro 5 emission standard, two engines arrived: the A20NFT that delivered 240--250 hp (179--186 kW) (used in the Astra Zafira and Insignias 4x4) and a higher power engine labeled as the A20NHT that delivered 276--290 hp (206--216 kW) (used inside Astra J OPC for 2010--2015). The 2.0-litre X20SED D-TEC 16 device DOHC MPFi had been built by Holden and found in the Daewoo Nubira. The L34 also referred to as the U20SED was a 2.0 L (1,998 cc (121.9 cu in)) system that has been built until 2009 by Holden in Australia, dubbed D-TEC by GMDAT (the newest Daewoo after the buyout from GM) or E-TEC II by Chevrolet (GM). It offers an 86.0 mm (3.39 in) bore and stroke. Energy was ranked at 119 hp (89 kW) in south usa and European countries, 126 hp in Canada, and 132 hp in the United States; each one is at 5400 rpm and torque are ranked at 126 lb*ft (171 N*m). The motor has been utilized from the Daewoo Lacetti and it's really different rebagded products, such as for instance Chevrolet Optra, Chevrolet Evanda, Suzuki Reno, and Suzuki Forenza. The very first generation Ecotec motors is belt-driven 16-valve DOHC motors, with cast-iron cylinder obstructs and aluminum cross-flow cylinder minds. They showcase sodium-filled exhaust valves, a cast steel crankshaft, and a spheroidal graphite flywheel. They also feature exhaust fuel recircualtion (EGR), additional air injections, and Multec M system controls with sequential multiport gas injection. The 1.6 L version was also shipped for use in the Brazilian Corsa GSi. Advanced for Ford & Holden is a specialist Auto Dismantler & Parts Importer. We stock Holden Astra F, G, & H parts and can deliver anywhere in New Zealand. Parts Plus has the Holden Astra TS Z18XE Engine you have been looking for! Find the closest one or get it delivered with a nationwide warranty today! Find great deals on eBay for Holden Astra Parts in Car and Truck Parts. Shop with confidence. Find holden astra ads in our Parts & Accessories category. Buy and sell almost anything on Gumtree classifieds. 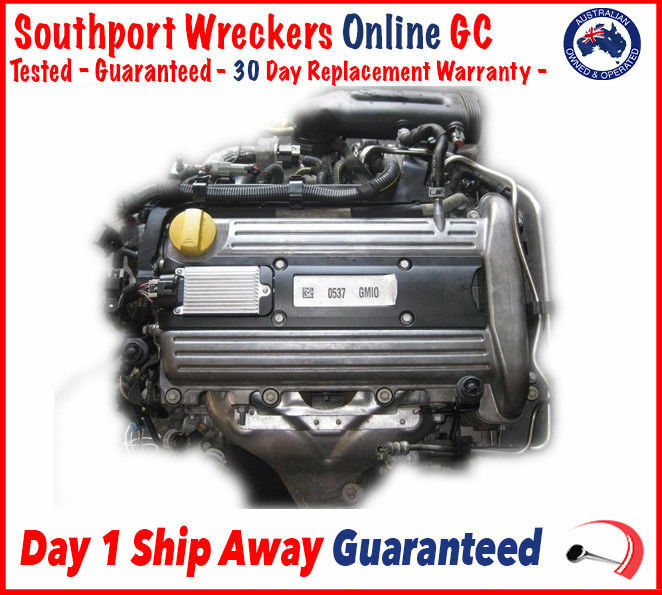 "speeds holden spares lb lc ld tr ts ah astra spare parts"
Find great deals on eBay for holden astra parts holden astra. Shop with confidence. ... Holden Astra parts ... Holden Holden Astra 1998-01 TS Radiator For 4 Cylinders Only. 0.00 (including GST) Quantity: This part is designed for.